Marilyn Vine’s 5G technology page is designed to bring together many of the articles that she is reading about. The more she learns the more important it becomes to share this knowledge with others. In the United States there are laws being passed to over-ride local government decisions as to whether to install this technology on the streets, place towers in schools and in hospital grounds. To me it seems to be an all out assault on human health, our animals, wildlife and possibly even the environment itself. Internet speed should not be the over-riding factor. 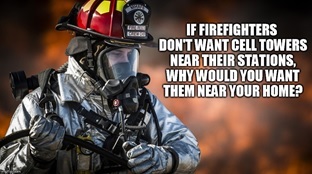 Health and safety should be. Please keep a note of this page to keep yourself up-to-date with new information. I believe that forewarned is forearmed and that we should all put into place as much protection that is within our power to do so. People should all start speaking up and standing up for their right to live in safe environments. Marilyn will provide excerpts from 5G technology articles and provide the source reference and it is recommended that you read the entire article to fully understand what is unfolding in this world of ours. 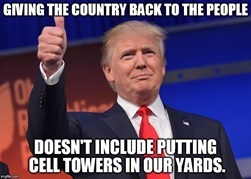 Trump giving the country back and pushing 5G! Activist Post dated 15 April 2019 published this article “President Trump, FCC Chairman, Ivanka Trump Promote Forced 5G Installation Despite Lawsuits, Municipal Opposition and No Studies Showing 5G Is Safe “. 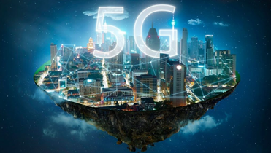 Activist Post dated 15 April 2019 published this 5G technology article “Florida City Council Passes 5G Small Cell Resolution Urging State and Federal Officials to Study Health Effects and Develop Safe Guidelines for Installation”. 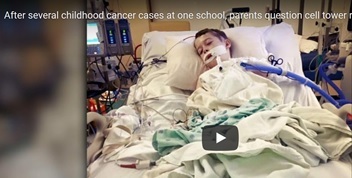 Dr Mercola dated 16 April 2019 released this document “Cell Tower Removed From Schoolyard Due to Cluster of Cancer Cases”. Here is his story at a glance and then watch the YouTube. All the hype and song and dance about measles which if everyone stayed out even the vaccine would last for roughly 3 days and then be gone leaving the recipient with a life-long immunity. On the odd occasion there is an adverse reaction to measles but not very often certainly not as often as the side effects from the vaccines. How can we condone what they are doing with 5G when we end up with kids looking like this? I am taking a photo of the YouTube as more than likely I will find Dr Mercola’s YouTube disappears! GUESS WHAT! I can’t access the video! Yesterday I had to delete one of Mike Adam’s You Tubes - The Truth About 5G Dr Graham Downing” because the tech giants are over-riding his YouTube by not letting them opening and then providing a message to say that this site took too long to open! Today, 10 April 2019 I found the same YouTube presented by StopTheCrime and here folks it is now presented. I hope that others who have the skills save this information so that we can still learn the dangers before it is too late. 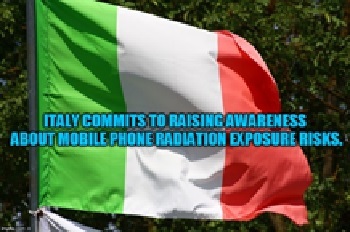 “In July, the government concluded an agreement with three telecom operators to relax the strict radiation standards in Brussels. But according to the Region, it is now impossible to estimate the radiation from the antennas required for the service. Activist Post dated 27 March 2019 published this article “South Africans Threatening to Camp Until Cell Tower Was Removed Led to Its Removal from School Property.” Just click the link and read how they did it. If enough people unite in areas around the world we can stop this travesty from unfolding. It also appears that Verizon may have a problem in Sacramento. Click this link to learn more about this. 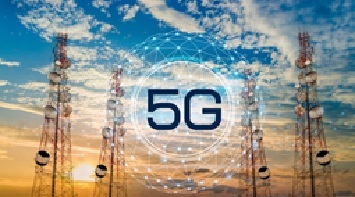 Activist Post dated 22 March 2019 published this 5G technology article “Something To Consider: Will Rollout Of 5G Millimeter Waves Dramatically Activate The “Frey Effect”? Here is the patent referred to. Kudos to the record number of Danville residents who attended their February and March council meetings which led to this victory against Verizon. What concerns does President Trump have? To the UN, WHO, EU, Council of Europe and governments of all nations. Click this link to read the appeal. Here is a link to a database on numerous 5G articles and videos. A letter written to President Trump about his obligations to the people. Before reading the information below I think it is important that you read this document. It covers the “envelope affair” at George Bush’s funeral and further in the document information on 5G technology which flies in the face of the information below and gives a probable explanation for why Trump is and does behave on many fronts including not bringing the Bush Family, The Clinton Family and Obama to account for their activities which are revealed again and again. Please click this link. Yesterday, Trump qualified his statement – he only wants this technology provided by American companies. The Tech Industry can’t say that 5G is biologically and environmentally harmless. Security experts can’t say enough bad things about 5G and its sidekick, The Internet of Things (IoT). “UNDOUBTEDLY, A KEY PART OF THE 5G PROGRAM IS, EVENTUALLY, MASSIVE NUMBERS OF DRIVERLESS CARS ON ROADS ALL OVER THE WORLD. This is the plan. Cars are connected and talk to each other. Humans play no role in this. The Technocratic Internet of Things decides how, at any given moment, to regulate traffic flows. Humans learn to be passive. What he doesn’t tell you are the implications involved with electric cars and in particular your eyes. Click this link and listen right to the end – then you may begin to understand the implications of 5G technology. I have been following this for a long time, but I certainly learned a whole lot more! Research on microwave frequency radiation conducted since 1996 shows that the existing 3G and 4G cellular systems are causing serious harm to human health. The 5G systems will increase the level of harm to the level where illness and death can no longer be denied. Here is the link. Sadly the link showing the connection to cancer, heart disease, diabetes, Alzheimer’s disease and death has been removed. You could always search these particular diseases and ask what affect 5G technology has on them. DO YOU WANT 5G TECHNOLOGY ROLLED OUT IN YOUR AREA? Please make sure you read this article. It has links to other information as well. Here is a link to another device which can provide protection. I have no financial interest in the purchase of this product – I just want people to be as safe as they possibly can be. I also advocate that people maintain their health by providing the right nutritional support that their body needs to enable it to maintain and repair damage that may occur in their lives. A lack of minerals and trace elements can have debilitating effects on our bodies without even taking into consideration the harm that electromagnetic frequencies may be causing. These are the products that I use and have been using these since 2007 and from his previous company since 1996 and have excellent health and yes I do have a vested interest in this link. If you check this page and the EMF and Radiation Level pages you will see some of the harm that can be caused including using devices on the laps of females. It is even being said that if you are pregnant and use a device on your lap and the foetus is a girl – that you are frying the eggs in her ovaries before she is even born! 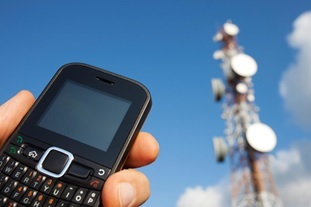 With the advent of 5G do we need more EMF protection? The YouTube from Brighteon now has the message “connection timed out”. Under the heading “Opposition to 5G in Europe” I have the following and I am copying part of this information here. I personally have a Biozen disc on my mobile phone and have done for some time. Make sure you read the entire article as well as listening to these YouTubes. You can purchase the Biozen Patch by clicking this link. Such a small price to pay for such protection! To read this entire 5G technology information document please go here. “In a joint press release, three different ministries —of Health, of Environment and of Education and Research— acknowledge that there is a need to raise public awareness on how to use mobile phones safely. This is a victory for everyone world-wide! 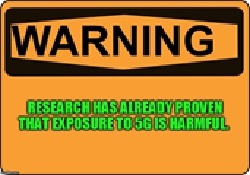 Activist Post dated 16 January 2019 published this 5G technology article “Even After 5G Court Case Was Won – UK Scientist Facing Jail Time For Warning Public About 5G.” The following is just one of the YouTubes and you should listen to the others contained in the article if you have any concern for your health. “Ford has announced that it will deploy cellular vehicle-to-everything (C-V2X) technology in all of its new American car models from the year 2022 onward. The technology will enable vehicles to communicate with one another as well as traffic management infrastructure like traffic lights. Pedestrians will also have the ability to transmit their locations to cars, ostensibly boosting the safety of walkers and cyclists. Every square foot of earth to be targeted! G Edward Griffin’s Need to Know dated 6 January 2019 published this 5G technology article “Space Exploration Companies Will Launch 20,000 Satellites to Communicate with 5G Technology”. 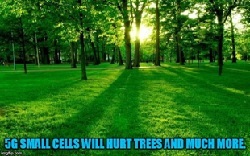 Activist Post dated 21 December 2018 published this 5G technology article “DC Sierra Club Worried About 5G Hurting Trees. Other Environmentalists and DC Neighborhood Commissions Worried about Trees and More.” Below is an excerpt. It seems to me that these people have lost the plot. All this care about the trees and don’t get me wrong this is also important BUT WHAT ABOUT THE EFFECT ON HUMANS AND THE TOTAL ENVIRONMENT! DDOT’s Draft Small Cell Design Guidelines state that “trees shall not be removed or have their critical root zones damaged for the installation of Small Cell infrastructure.” It’s a good thing that DDOT has thought about the effect that small cell technology will have on the trees of DC. However, deeper consideration of the issue is needed. Specifically, the District of Columbia must ensure that street trees are not aggressively pruned as DC moves toward small cell infrastructure. This technology requires a direct line of sight between small cells. That could require chopping off large portions of tree branches – which could kill some of the District’s largest and most majestic trees. These are trees that have been enjoyed by District residents and visitors for decades. The Sierra Club requests that before the deployment of small cell technology, the District government undertake a study of how this infrastructure will effect DC’s trees. We ask that the DC government develop a plan to ensure maximum protection of our trees and our tree canopy. Not just making sure the trees aren’t cut down and protecting the roots – but also protecting tree branches from heavy pruning. “Wireless networks are composed of cell sites divided into sectors that send data through radio waves. … Unlike 4G, which requires large, high-power cell towers to radiate signals over longer distances, 5G wireless signals will be transmitted via large numbers of small cell stations located in places like light poles or building roofs. The use of multiple small cells is necessary because the millimeter wave spectrum — the band of spectrum between 30 GHz and 300 GHz that 5G relies on to generate high speeds — can only travel over short distances and is subject to interference from weather and physical obstacles, like buildings. WILL YOU LIMIT THE CHILDREN’S USE OR WAIT UNTIL THERE IS ABSOLUTE PROOF? Activist Post dated 4 December 2018 published this 5G technology article “Senator Demands Proof That 5G Is Safe. So Does The National Institute For Science, Law & Public Policy”. Here is an excerpt and I guess we would all like to know the answer to the question being raised. “WASHINGTON–(BUSINESS WIRE)–The National Institute for Science, Law & Public Policy (NISLAPP) applauds Connecticut Senator Richard Blumenthal (D-CT) for pressing FCC Commissioner Brendan Carr, Esq. 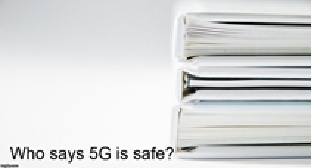 to provide documentation substantiating the Commissioner’s remarks defending ‘5G safety. 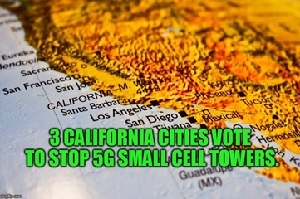 “Citizen advocate, Gary Gileno, picked up our feature from last week about three cities in Marin County, California, that rejected the federal 5G roll out. He says that the cities passed ordinances, which carry the force of the law, instead of resolutions that are merely statements of opinion. Gileno stresses the point that city councils legally can reject edicts of the federal government. Support their stand to stop the Federal Government imposing laws that will harm you and your family. “Officials may say it was a bad flu with strange features that hit Sacramento residents, and that vaccines could not prevent it. They may even blame foreign actors. 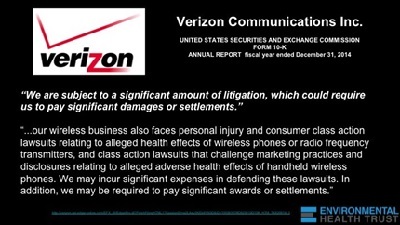 But the real and very simple explanation will be that Verizon’s 5G roll-out in California’s capital has severe public health repercussions, just as predicted by international scientists and physicians. These reactions to 5th generation pulsed microwave radiation frequencies will also be experienced in Los Angeles, Houston, and Indianapolis. They are all test subjects in the first large-scale 5G experiments on U.S. populations without full disclosure or express consent. 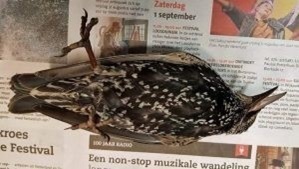 “Has it finally happened: Probable confirmation 5G technology can kill wildlife? [N]earby ducks that were swimming seemed to react very oddly as well; they were simultaneously putting their heads underwater to escape the radiation while others flew away, landing on the street or in the canal. Is the technology safe for Houston? Fox 26 Houston’s Isiah Carey sits down with journalist Derrick Broze to discuss the 5G roll out taking place in Houston and across the country. Thanks to Isiah for taking the time to discuss this important issue. Click this 5G technology link to read the discussion. 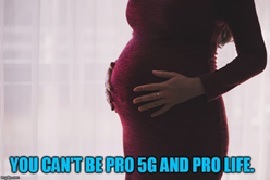 Pro Life or Pro 5G Technology? “Being “Pro-Life” means different things to different people. Some proponents fight to protect the lives of the unborn as well as heinous criminals. Please make sure you read the 5G technology article in full. Babies dying in the womb! 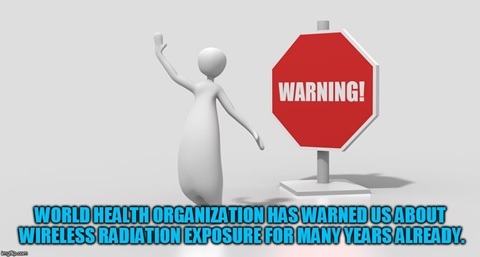 NaturalHealth365 dated 7 November 2018 published this 5G technology article “Radiation WARNING: 5G-ready cities expose the population to untested microwave pollution” Here is an excerpt and once again make sure you read the entire article. “Hellbent on being the first U.S. carrier to debut the 5G mobile network and matching smartphones, telecommunications giant Sprint is racing to roll out this new 5G technology – this year! But, many people are waking up to the health threats posed by this wireless technology. 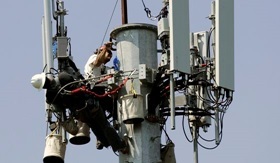 The city council of Mill Valley, CA, a wealthy city north of San Francisco, voted unanimously to effectively halt installation of new small cell towers to accommodate 5G technology over health concerns. The “urgency ordinance” will bar applications for 5G towers while the city drafts a more permanent rule. The Common Sense Show advises that former DARPA Senior Scientist, Dr. Paul Batcho, asserts that cell phone towers pose an intentional and immediate lethal threat against the general public of the United States. 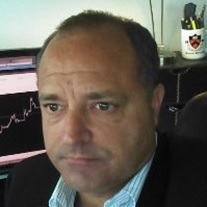 Dave Hodges advises “It is an old issue, but with a new revelation by the most credible insider source to date. Recently, I was contacted by Dr. Paul Batcho. Batcho is a former DARPA senior scientist who worked at Los Alamos and held a top secret security clearance. In short, Batcho asserts that clandestine forces are purposely engaging in “acts of terrorism” against the general public through emission of dangerous frequencies from cell phone and microwave towers in the St. Petersburg/Orlando/ Tampa, Florida area. Click this 5G technology link to learn more. This YouTube also has the comment “connection timed out”. The censorship that is occurring with 5G Technology is appalling! Activist Post dated 6 July 2018 published this 5G technology article “Activism Against 5G In Europe Sets Examples For Others To Follow.” Here is an excerpt from the article and it is recommended that you read the full article. 5G technology would ask that you read the full article to ensure you totally understand the implications of this technology. 5G technology is high-frequency high-density wireless radiation in front of our homes emitting 90 billion waves per second to our body and cause all kind of health effects. The 5G waves are shorter that is the reason why they can penetrate our skin and affect our inner organs. 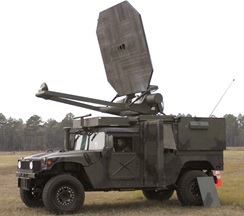 Active Denial System uses almost same frequency as 5G that is coming soon to our homes. Click this 5G technology link to read the myriad of information that Jon Rappoport has put together dated 26 March 2018.